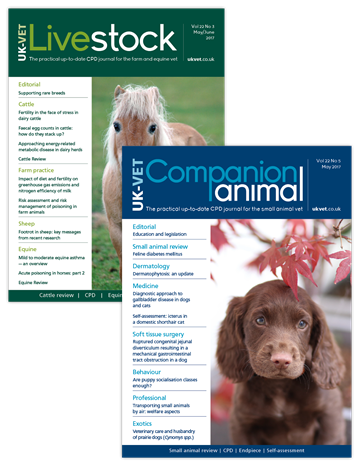 Companion Animal provides practical, up-to-date information for the small animal vet in practice. 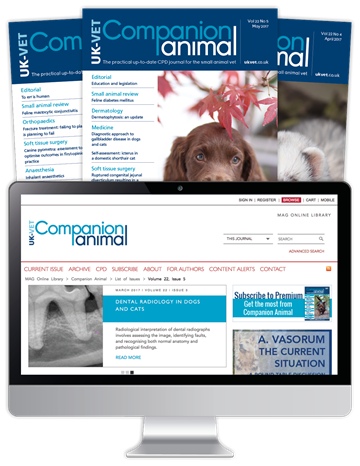 The journal's clinical articles cover all aspects of small animal medicine and surgery, and every species you are likely to face, from cats and dogs to rodents and reptiles. 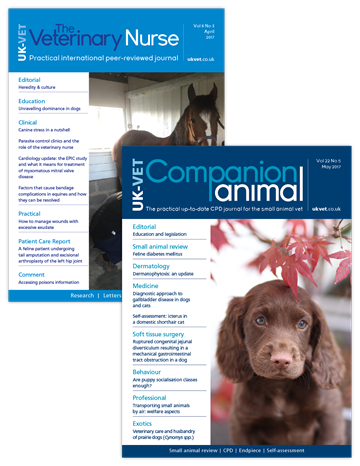 Peer-reviewed by a panel of leading practitioners to ensure quality and relevance, the journal has become one of the best-read publications for veterinary surgeons who want to enhance their practice. Its online CPD programme supports vets' professional development, and will help subscribers fulfil all of their CPD requirements. 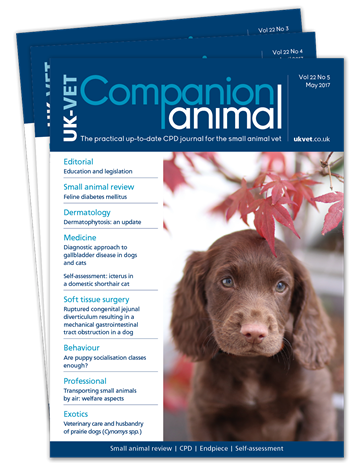 "Every issue of Companion Animal shares practical information that veterinary professionals can refer to in daily practice. Written by fellow vets, its clinical support is second to none, and helps readers to reflect on their practice, and informs their educational and professional development."